During end of last year’s school break, I decided to spend 2 nights at Melaka together with my family. Although I did the online booking 1 month ahead, but there wasn’t much choice of hotel that has Family Room. It is either very expensive or its booked. 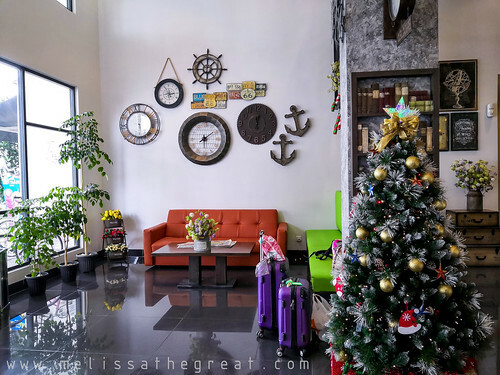 I came across Hotel Arissa Melaka, a boutique hotel which is quite new. The building has total of 74 rooms. If I’m not mistaken it was since year 2016. Read some positive reviews from the former guests. Hence I booked a Premier Room for 2 nights at around RM420 inclusive of breakfast. 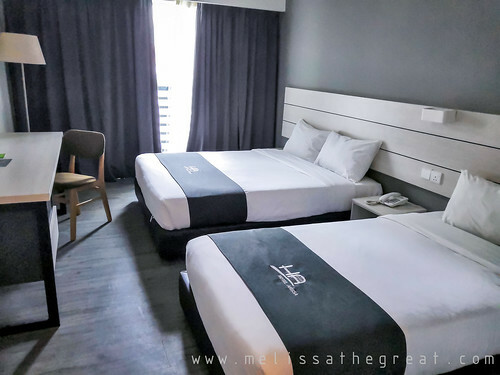 The hotel is located in Melaka city. So, I think location wise is considered good since its located in town. The check-in process was quite fast because I’ve already made payment when I did the online booking. 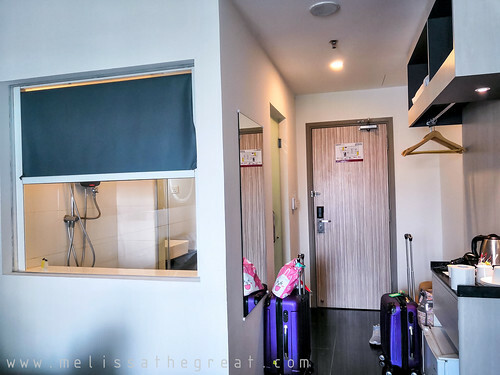 However a security deposit of RM50 is required upon checking in. This deposit is refundable during check out. If you are driving, you can park your car at the open-air car park just behind the building. It is free. I will usually drive and park at the hotel, then move around Melaka city using Grab car, to save hassle. hehe….. 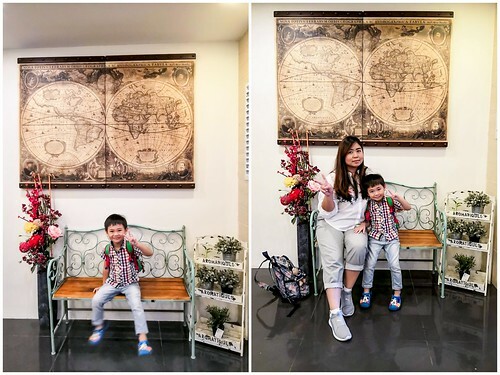 The hotel’s lobby has many nice photo spots. These old-school biscuits are available at the hotel’s lobby. And its free for guests! 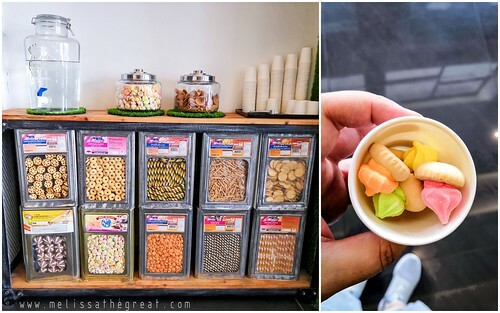 So, while waiting for check-in or your car to arrive, you can also munch on these biscuits. 🙂 That’s a very nice gesture. The room looked new and clean. Furthermore the interior is nice and modern. I like the color combinations too. 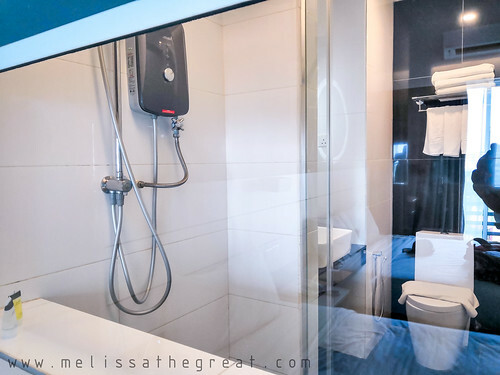 Premier Room sized 29 m²/312 ft² with 1 single bed and 1 queen bed. mini refrigerator, safe box, TV, hair dryer, kettle, mini size hair & body shampoo. 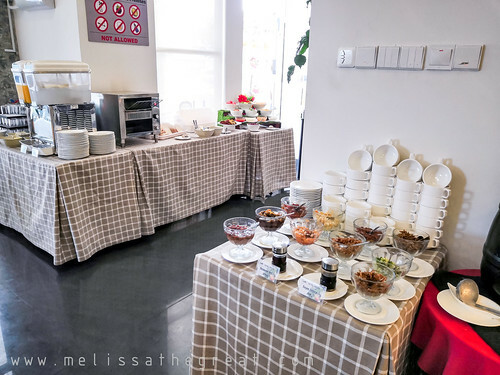 Daily buffet breakfast till 10am. 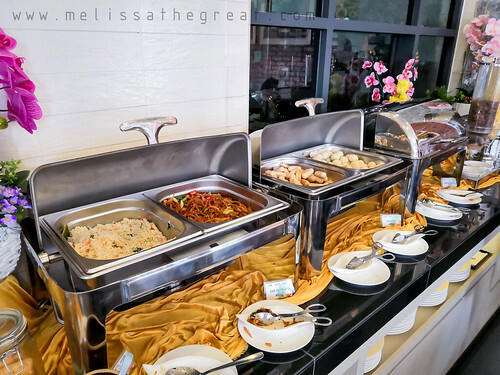 The buffet spread was quite limited. But if you are not fussy, it is enough to fill your stomach too. 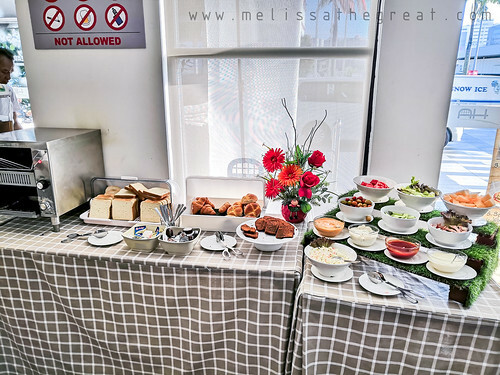 Buffet breakfast is also payable on the post. If I was not mistaken it was RM15 per person. Distance to Jonker Walk is around 1km. 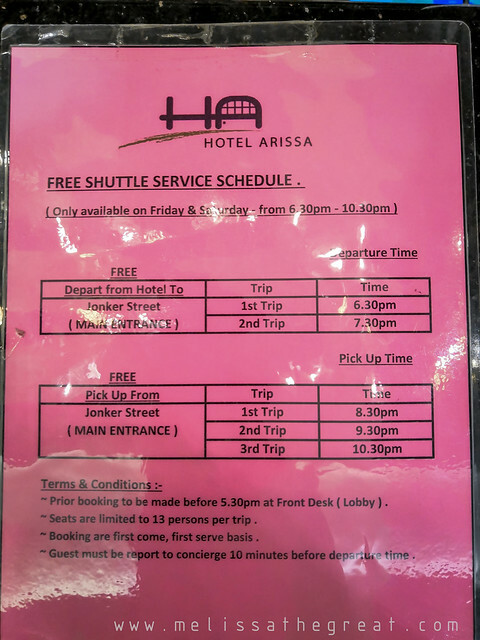 However Hotel Arissa do provide shuttle to and fro Jonker Street. Above was the time schedule. 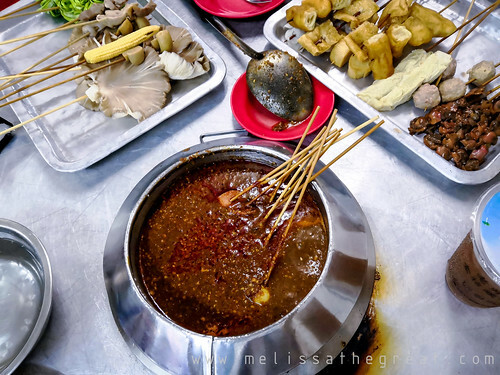 Are you a fan of Melaka’s famous satay celup? 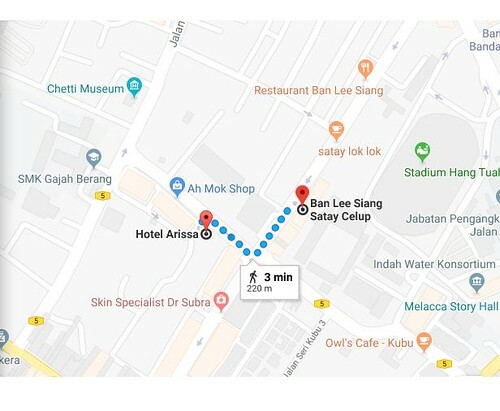 The popular Ban Lee Siang Satay Celup is just a walking distance from the hotel. I would advise you to go as early as you can. (before 6pm). It will be quite crowded on weekends. Other than Satay Celup, what food can we can within this hotel? There’s this nice cendol and Nyonya Assam Pedas Fish available at Living Water Kopitiam. It it located at a row of shop just next to the hotel. Besides that, there is a convenient store attached to the hotel. But in case you needed drinks or snacks when the store is closed, there’s a vending machine in front of the convenient store. 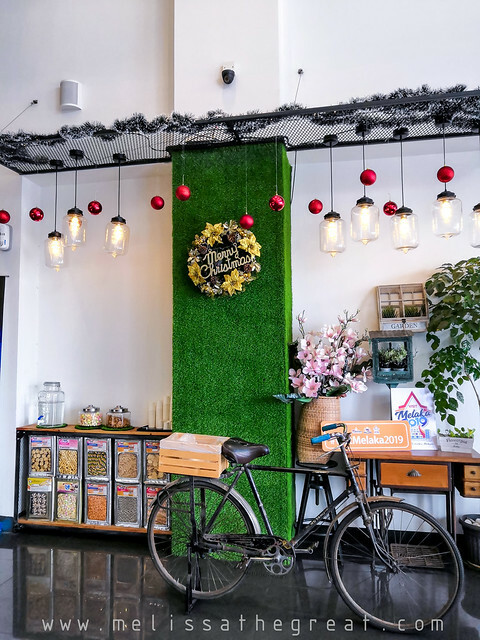 A simple hotel suitable for short stay. All in all the hotel is not bad. But it will be much better if the room is slightly bigger. Free shuttle to Jonker Street sound great as the traffic at that area is a nightmare! Yalo…I like hotels that provide shuttle to popular spots. It is a plus point. Nice and cozy. Will consider if going to malacca. Thanks mel. Nice hotel, room looks like five star. So affordable some more. 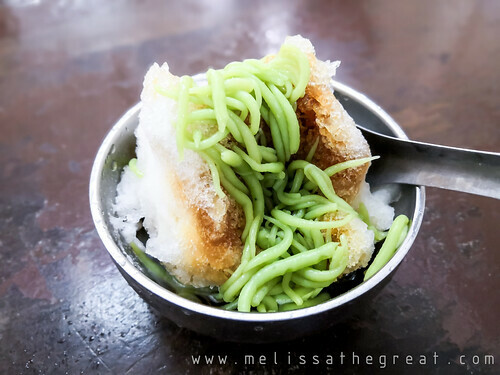 Have not been to Melaka for a long time now, gotta KIV this! Boleh tahan la…cos its still new too. 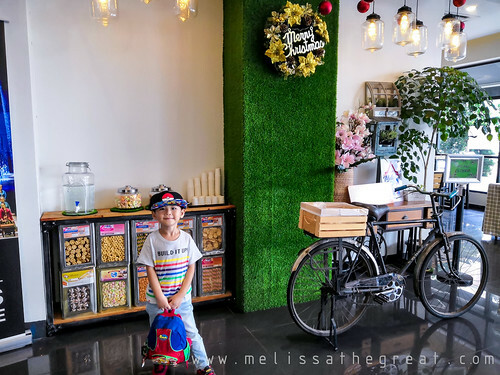 You gotta KIV Melaka in ur travel list!